Aside from President Rouhani’s occasional tweets wishing Jews and Christians well on Rosh Hashanah and Christmas, Iran’s track record on religious tolerance and freedom is dismal. Last month, the president released a draft Charter of Citizens’ Rights. Nice title, but what’s inside leaves much to be desired according to Nazila Ghanea, who teaches international human rights law at the University of Oxford. 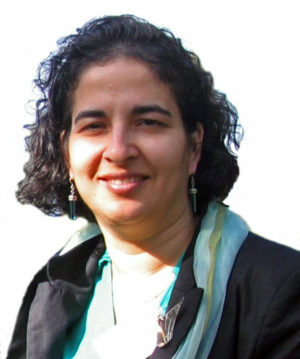 Ghanea has studied Iran’s human rights record for nearly two decades with a particular focus on freedom of religion or belief and minority rights. I spoke with her about this new charter and more generally about religious freedom in Iran. This interview was edited for length and clarity. Brian Pellot: What is Iran’s draft Charter of Citizens’ Rights? What does it purport to do, and how do you think it will actually be used? Nazila Ghanea: President Rouhani said he would produce this charter within 100 days of assuming the presidency, and he did. The charter will have no legal impact and will not change legal commitments. It is rather a declaration of the presidency’s human rights priorities. Despite the charter being extensive, there’s no hint of it going beyond the Iranian constitution, which unfortunately contains discriminatory provisions. These key actors at the international stage have crafted a charter they say will guide human rights priorities, but this deflects away from the fact that they have reporting obligations for the international treaties they’ve already ratified. They have commitments. If the president says this charter is his priority, not what other states or experts recommend and dictate upon all states, then it’s worrying. There is growing academic literature on why countries ratify human rights declarations. One concern is that it really is for the purposes of public relations. BP: Why does Iran’s constitution officially recognize some groups as religious minorities but not others, like Baha’is? NG: Article 13 of Iran’s constitution says there are only three recognized religious minorities: Christians, Jews and Zoroastrians. Even then, it says they can only practice their faith within the limits of the law. There was a constitutional revolution in Iran in the early 1900s. These were the three recognized minority religions at the time. One would expect an Islamic republic to protect Jews and Christians, people of the book. Zoroastrians, despite not being recognized in the Quran as people of the book, have come to be protected in Muslim countries. The same protections are not extended to faiths that came after Islam. I don’t want to suggest that Zoroastrians, Christians and Jews are not discriminated in Iran — they are — but at least they are acknowledged in the legal system. The constitution’s structure now has discrimination within it. It will take a lot of honesty and courage to address that. I think the system being structured the way it is shows a fear that religious diversity may undermine the legitimacy of various arms of government. BP: Which religious minority groups are most restricted in Iran? NG: Baha’is have faced the most persistent and severe persecution. Even during the Khatami presidency (1997-2005), which saw some lessening of pressure on human rights in the country, we saw the raiding of Baha’i universities and attacks on the community. Baha’is have definitely suffered a lot, but so have Evangelical Christians, albeit more episodically, especially since the 1990s. There’s generally pressure on any religious or belief community that allows for conversion. There have also been attacks on Sufis and on some belief communities that have emerged in recent years in Iran, but restrictions against Baha’is have been the most persistent. In Iran, there is a well-established screening process at universities and in civil service called gozinesh. Whenever there is opportunity for promotion, the individuals concerned undergo a rigorous screening. That’s where they sift out people from suspect families, including Baha’is, and keep even recognized religious minorities out of sensitive post. Christian Solidarity Worldwide had a press release that five Christians were put into prison for drinking communion wine, even though it’s protected in the Constitution as a faith practice. There are constant raids on evangelical gatherings, not so much on traditional churches. There are also clergy who became Christian 40 years ago before the revolution who are still being hounded as apostates. The few members of parliament who belong to the official religious minority faiths are constantly being paraded out to say they are the luckiest and freest people on earth. They’re being used for PR. Recognized religious minorities and traditional communities like the Assyrians and Armenians are allowed compounds to hold youth camps with their own communities, but it’s really a segregated and controlled tolerance. I went to the Beijing Women’s Conference in 1995. Iran offered several sessions in which Armenian and Jewish women were saying how grateful and impressed they were to be allowed to make handicrafts behind closed doors in compounds. I thought, why on earth are they using this as evidence of religious freedom? BP: What other legal and social means are used to restrict the religious freedom rights of Baha’is and other minority faith groups in Iran? NG: This is a country of government-led discrimination and persecution. It’s not the government pandering to conservatism among the population. I’ve seen a government document from 1991 that says the progress of the Baha’i community must be blocked within and outside the country. In 2006 there was an instruction to armed forces saying that all Baha’is needed to be identified and pursued. Other secret memorandums have come to the surface by experts at the U.N. These are only the ones that have been leaked. The government goes to great pains to make it seem like this is societal discrimination. A spokesperson for Iran in London basically said, “We try our best to protect Baha’is, but what can we do? People hate them.” That’s not the case on the ground. There have been around 400 articles in the Kayhan newspaper, which is considered the mouthpiece of the supreme leader, featuring atrocious medieval accusations against Baha’is that they steal children and drink blood. There are fatwas that say Baha’is are dangerous and should be avoided. Then there are memorandums that are instructions to armed forces and businesses to fire all Baha’is or face consequences. Most Muslim bosses haven’t wanted to be part of this, but there’s been constant pressure from the government to shun Baha’is. Baha’is have also been excluded from universities. After the revolution in 1979, staff and students who were Baha’i were thrown out of universities and have never been allowed back in. A handful have been admitted in the last five years then have been pressured to call themselves Muslim or be expelled. Many have been dismissed from their universities in the final stages of study. BP: Do you see any signs of improvement for religious minorities in Iran? NG: Iran’s population is deeply engaged with social media and is very engaged with international actors beyond its borders. It’s not an inward looking nation. Based on my interactions with Iranian students, I am very optimistic for the future, but this new draft charter as such hasn’t maximized on its ability to create more freedom and openness. There are elements to suggest that it is a very calculated and constrained voice of optimism. It uses the right language but includes limitations within each right. Even the charter could open voices and be grounds for debate, but it’s a missed opportunity as things stand. If we think about the number of executions, the number of people in prison, the number of journalists behind bars, the treatment of ethnic minorities, none of these have improved at all in the last four years. There have been tiny steps that have regressed previous human rights violations, but all improvements we might welcome are because of previous horrendous violations. Again, the Iranian regime has been brought to the table because of sanctions. No we’re going to give the Iranians a $6 billion payday for simply being polite? No amount of hopeful talk can alter the very basic and fundamental forces at work in Iran. As a religious government, Iran is driven by its core Shiite philosophy and convictions as it battles Sunni-led nations for regional supremacy. Unfortunately there is no separation of church and state in Iran. The mosque IS the state. Imagine if you will, if the US was a religious government led by hardline Christian conservatives and all members of Congress had to be members of the church and the President of the US answered to the head of the church. You don’t think the rest of the world would be alarmed? Why is Iran’s form of government deserving then of our unqualified support in this agreement?